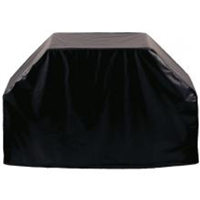 Protect your Blaze Grill On-Cart from the elements with this quality grill cover. Blaze offers a cover solution for each of our grill on cart arrangements. The grill cover is warranted for 30 days to the original owner against defects in manufacturing and workmanship. This warranty extends to the original purchaser against manufacture defects for products purchased for ordinary single-family home use.